Hand pump mounted on tubular frame and ready for use. This single acting piston pump is adapted to hydraulic tests and other industrial applications that need little volumes at high pressures. 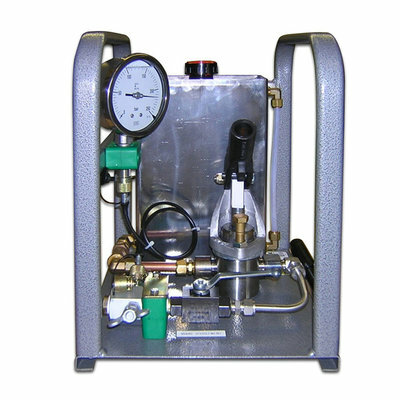 The parts of the pump in contact with the fluid are in stainless steel. The pump can consequently transport de-ionized water. 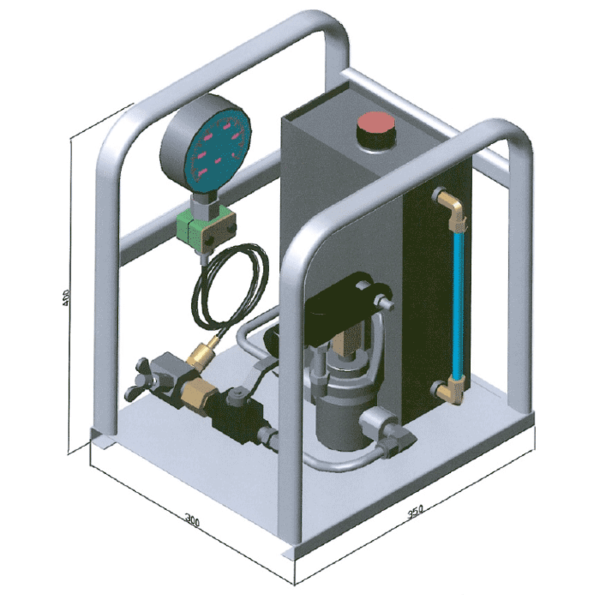 The tank mounted on the above picture is in stainless steel.